Nations Press feature news JUST IN: Salary of Mayor Duterte as Pres. is only enough for 2 Women,Find out why! JUST IN: Salary of Mayor Duterte as Pres. is only enough for 2 Women,Find out why! SPONSORED LINKS Three days before assuming office as the 16th president of the country, president-elect Rodrigo Duterte still appears to be a reluctant chief executive. “You know, if I can go back in time, I would decide not to run for president. Honestly, swear to God. If this is just a bad dream, I hope it is,” Duterte said yesterday during his final flag ceremony as mayor of Davao City. Duterte noted that the salary of a president does not match the demands of the job. “How much salary will you get? P130,000? That’s just for Honeylet (Avanceña) and Elizabeth (Zimmerman). Nothing will be left for me,” he said. Avanceña is Duterte’s common-law wife while Zimmerman is his former spouse. 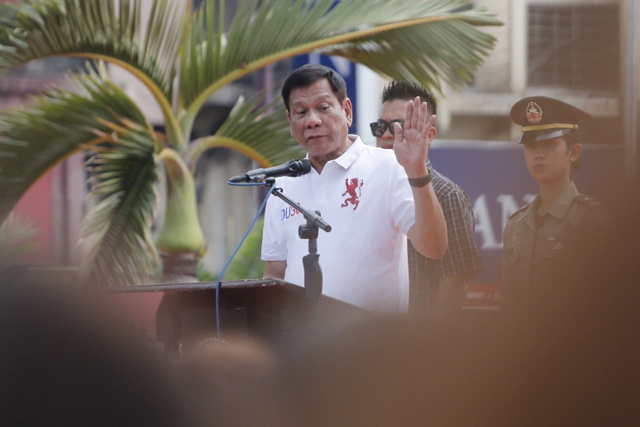 Duterte said the pressure for him to seek the presidency did not come from Davao City but from Manila and Cebu.